Update 0.7.3 is out and so it’s Supertest 0.7.4. All information was datamined by our friend from gamemodels3d.com as per usual. Please note the following information is from Supertest and it’s subject to change without warning. US Cruiser Boise will be tested with other US cruisers, but Wargaming has plans to remane it to Nueve de Julio and introduce it as the first Premium ship under the Argentinian flag. Wargaming seems to be working with Humble Bundle in some sort of partnership, no details yet how players will be able to get the flag and camouflage. Pan-Asia and Commonwealth ships will now be able to mount flags of their respective nations. Possibly a for some sort of cooperation between Humble Bundle and World of Warships. US Cruiser Boise was sold to Argentina and renamed Nueve de Julio, it will be the first Argentinian warship added to the game. Clan Wars reward Soviet cruiser Stalingrad will come with its own flag. New unique Soviet Commander, no details how players will be able to get it for now, but could be related to the new upcoming Soviet Cruiser Stalingrad. Clan Wars reward Soviet cruiser Stalingrad will come with its own permanent camouflage. Requires to destroy 40 enemy planes with any class except carrier. Requires to destroy 55 enemy planes with carrier class. Please note: ARA Nueve de Julio will most likely be named USS Boise for now. 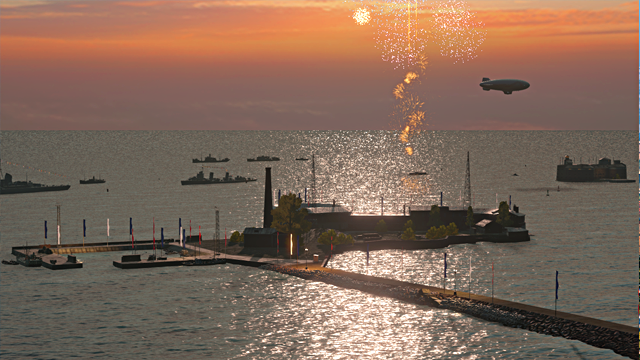 It will be introduced under the US Cruiser branch until the Pan-American branch is introduced to the game. Then the ship will be renamed and will swap branch. Except it isn’t, though. WG has said they have another method of distribution of Stalingrad for players that for whatever reason can’t get into clans or can’t play clan battles or benefit from it. It’s a different issue for Ranked, though.